The first trailer for Mile 22 has arrived. This movie continues the strong collaborations between director Peter Berg and Mark Wahlberg. The pair have previously worked together on movies like Lone Survivor, Patriot's Day and Deepwater Horizon and apparently, they enjoy one another's company, as they're once again hitched to the same cinematic wagon. This time, it's in a gritty, action flick that certainly looks like one of Berg's movies, in that there is a lot of stuff blowing up and it feels like true Wahlberg, given all of the quips and one-liners. This first trailer for Mile 22 is very much red band, so if you're at work, maybe put on some headphones. There is quite a bit of uncensored violence and language that would make Captain America blush in this footage. As we see in the video, Mark Wahlberg is part of a super secret team called Overwatch that does not exist, according to the government. They're "ghosts," as he puts it in the trailer. But it definitely exists and they are given top-secret missions of the highest importance that seem to involve a lot of guns and dangerous situations. In this case, it involves transporting a suspicious figure from one location to another with a great many deadly obstacles along the way. In the visceral action/thriller Mile 22, Mark Wahlberg stars as James Silva, an operative of the CIA's most highly-prized and least understood unit. Aided by a top-secret tactical command team, Silva must retrieve and transport an asset who holds life-threatening information to Mile 22 for extraction before the enemy closes in. Based on the trailer, it looks like this is going to take some cues from the Colin Farrell and Samuel L. Jackson movie S.W.A.T. from 2003. Peter Berg's last few movies with Mark Wahlberg have all been received very well, so it's no wonder the two want to keep working together. However, Lone Survivor is the only one that seemed to do big business at the box office. Patriot's Day and Deepwater Horizon, both of which were release in 2016, scarcely made more than their production budget, despite the fact that critics and audiences enjoyed them. Mile 22 looks to be a little bit more modest in scale, even though there is quite a bit of action, so maybe this can actually manage to turn a profit. 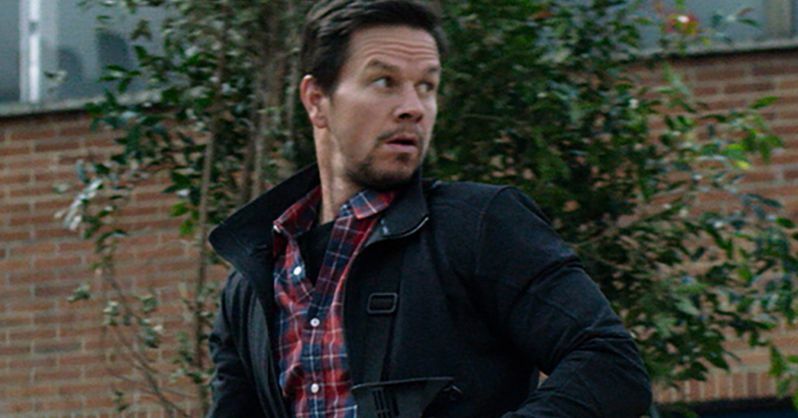 In addition to Mark Wahlberg, the cast for the movie includes Lauren Cohan (The Walking Dead), Iko Uwais (The Raid), Ronda Rousey (Furious 7) and John Malkovich (Burn After Reading). Mile 22 is set for release on August 3. As far as competition goes, Mission: Impossible - Fallout comes out the week prior, so there is already going to be an action movie in theaters that quite a few people are going to want to see. Maybe that one week buffer will be enough. Be sure to check out the first trailer, courtesy of the STX Entertainment YouTube channel, for yourself below.